This disease-causing bacteria slide set is an excellent demonstration of bacterial forms that cause disease in humans and animals. Ordering information: Substitutions may occur, subject to availability. 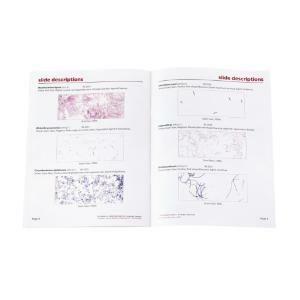 This slide set includes pathogenic strains of bacteria that have been rendered completely inert (dead) through heat and chemical fixation methods. They are then covered with an epoxy resin and sandwiched between glass. 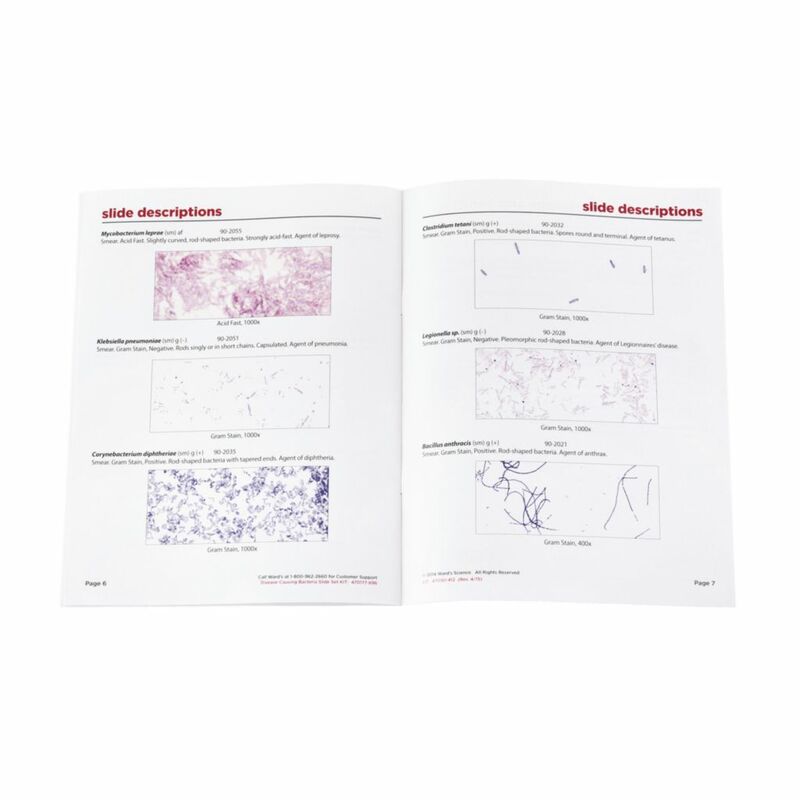 In this state they present no health risk and thus can be safely handled and analyzed by educators and students interested in studying these important pathogens. 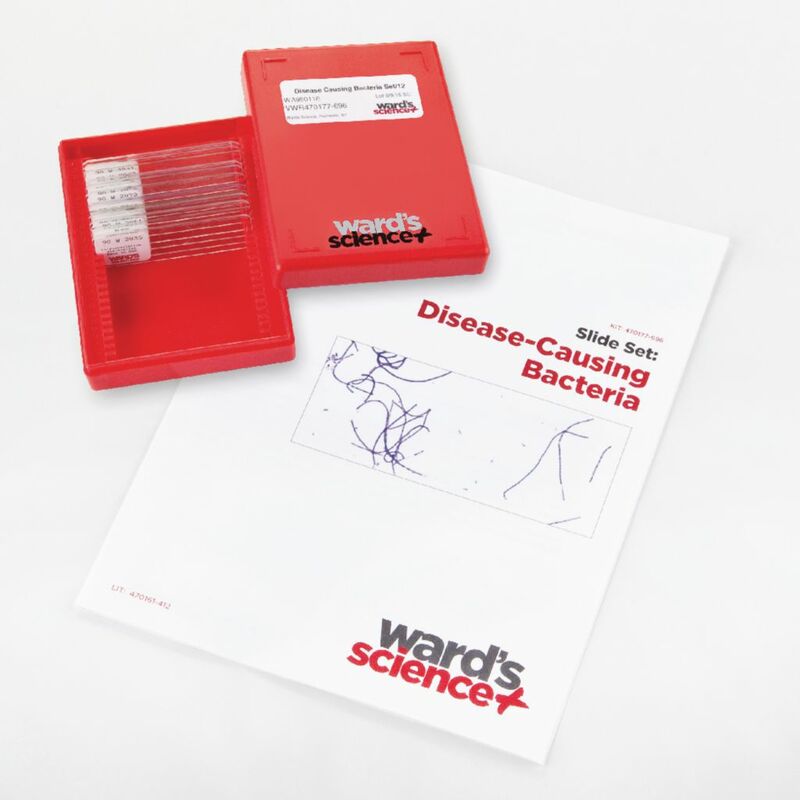 Set includes Anthrax (Bacillus anthracis); Brucellosis (Brucella abortus); Tetanus (Clostridium tetani); Diptheria (Corynebacterium diptheria); Bacterial pneumonia (Klebsiella pneumoniae); Leprosy (Mycobacterium leprae); Gonorrhea (Neisseria gonorrhoeae); Typhus (Salmonella typhimurium); Scarlet fever/strep throat (Streptococcus pyogenes); Syphilis (Treponema pallidum); Chlorea (Vibrio cholera); and Bubonic Plague (specimen morphologically similar) Yersinia sp.